Hawaii’s Population Decline Signals Future Economic Challenges. 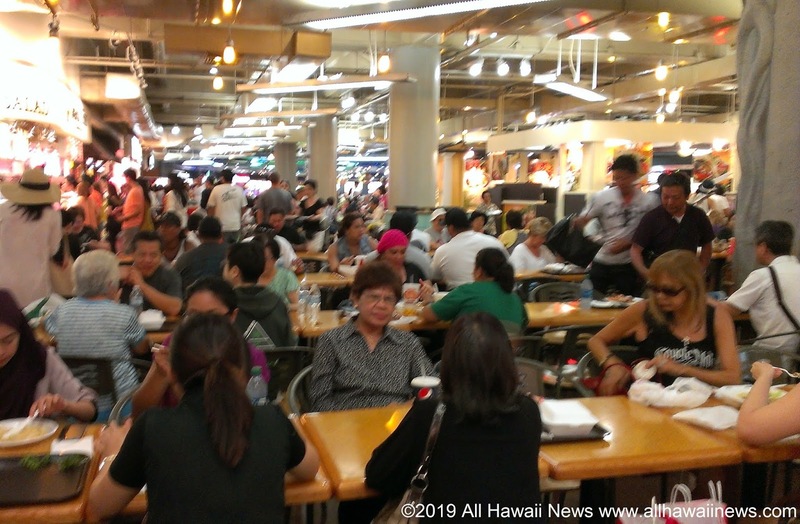 Hawaii is one of just nine states that lost population in 2018, reflecting a level of out-migration far deeper than the brain drain of past years. Civil Beat. Senate Committee Confirms DHHL Deputy William Aila. Hawaii Public Radio. Supporters of Public Safety director engage in questionable tactics ahead of confirmation hearing. As embattled Public Safety Director Nolan Espinda prepares for tough questions from lawmakers Thursday at his long-awaited confirmation hearing, his strongest supporters are engaging in last-minute — and questionable — tactics in a bid to save his job. Hawaii News Now. Despite mounting criticism, governor stands by reappointment of Public Safety head. The governor is standing by embattled Public Safety director Nolan Espinda ahead of what’s certain to be a tough confirmation hearing Thursday. Hawaii News Now. Coffee labeling measure deferred. A measure originally intended to change labeling requirements for coffee blends died quietly with a few passing words Tuesday morning in the state Legislature. West Hawaii Today. Plan to allow solar farms on top-rated agricultural lands dealt setback. State lawmakers on Wednesday halted a proposal that would allow large solar projects on the state’s most valuable agricultural lands. Hawaii News Now. Hawaii considers reforming bail system called unfair to poor. Lawmakers are considering allowing defendants accused of non-violent offenses to be released on bail without paying cash up front. Associated Press. State Criticized For Cutting Services For The Developmentally Disabled. Agency representatives say they’ve gotten more efficient with the help of a new budgeting tool, but advocates for patients are filing more complaints. Civil Beat. Amid push to unionize, UH grad students say their voices aren’t being heard. Hawaii News Now. Micronesia Official Pleads Guilty To Bribery In Hawaii. Authorities said he accepted a bribe from a Honolulu company in exchange for $7.8 million in government contracts. Associated Press. HEI seeks renewable options as end nears for 2 plants. In an effort to prepare for the closure of two fossil-fuel plants in the state — the coal-fired AES Hawaii plant on Oahu and the oil-fired Kahului Power Plant on Maui — Hawaiian Electric Companies is seeking more renewable energy projects. Star-Advertiser. More than one-third of registered voters in Honolulu City Council District 4 have already cast votes in the special election between Trevor Ozawa and Tommy Waters. The official election day is April 13. Star-Advertiser. Council members oppose Kealoha fees. Key Honolulu City Council members want the city Police Commission to reverse its approval of the use of taxpayer money to pay for former Police Chief Louis Kealoha’s legal expenses. Star-Advertiser. Council leadership: Taxpayers shouldn’t pay for ex-police chief’s legal defense. In a strongly-worded letter to the Honolulu Police Commission, Councilman Ron Menor is expressing his concerns over the body’s decision to have taxpayers foot the bill for ex-Police Chief Louis Kealoha’s legal defense. Hawaii News Now. Defendant Wants To Stop Early Testimony Of Katherine Kealoha’s 99-Year-Old Grandmother. Federal prosecutors want to get the testimony of Florence Puana in a videotaped deposition before the Kealohas’ trial starts because she’s fallen ill. Civil Beat. Whistleblower tells police commission concerns about upcoming promotions. The retired Honolulu Police Department lieutenant who recently received a $550,000 payout from the city spoke on Wednesday before the Honolulu Police Commission. KHON2. Critics Renew Calls To Stop Honolulu Rail At Middle Street. While shortening the line could save hundreds of millions of dollars, rail leaders argue the system would lose nearly half its projected ridership. Civil Beat. UH Researcher Skeptical of Housing Proposal To Build $300,000 Units. A proposal at the state capitol to address the lack of affordable housing in Hawaii's largest population center has garnered significant community attention in recent weeks. Hawaii Public Radio. Tiger Woods is designing the newest luxury golf course on Oahu. Oahu’s Leeward Coast will soon boast a golf course that’s been re-shaped by one of the game’s greatest players. Hawaii News Now. Tiger Woods to design golf course in Makaha. Golf superstar Tiger Woods will design his first golf course in Hawaii as part of a $300 million master-planned development that aims to establish a new resort in Makaha Valley. Star-Advertiser. New solar PV panels expected to reduce Honolulu airport’s electric bill by nearly half, state says. Hawaii Department of Transportation officials said an additional 2,980 solar photovoltaic panels have been installed on the 5th floor of the Terminal 2 parking garage at Honolulu’s Daniel K. Inouye International Airport. Star-Advertiser. The state Public Utilities Commission has scheduled public hearings next week to determine whether a 3.4 percent rate increase for Hawaii Electric Light Co. is “fair and reasonable.” West Hawaii Today. Plan To Drive Tourism To Hawaii Island Announced. State officials held a press conference on Oahu today to announce $2.5 million has been allocated to bolster marketing efforts in the U.S. mainland and Japan. Big Island Video News. Tourism authority to launch major ad campaign to woo visitors to Big Island. Hawaii News Now. Albizia abatement measure heads to governor’s desk. A bill that would allow property owners to enter neighboring properties to remove dangerous albizia trees needs only the governor’s signature to become law. Tribune-Herald. 15 possible names for fissure 8 already submitted; nominations still being accepted. The state Board of Geographic Names formalized a committee for naming one of the most prominent features from last year’s Kilauea eruption. Tribune-Herald. Report: Maui County comes in second in Hawaii health rankings. Higher numbers for alcohol abuse and housing shortage are among state’s worst. Maui News. New medevac chopper blessed. Crew responds to incident in Hana at end of ceremony. Maui News. Mayor Derek S.K. Kawakami met with the residents of the Courtyards at Waipouli Apartments on March 28, along with Managing Director Mike Dahilig, Housing Director Kanani Fu and Councilman Mason Chock. Garden Island.